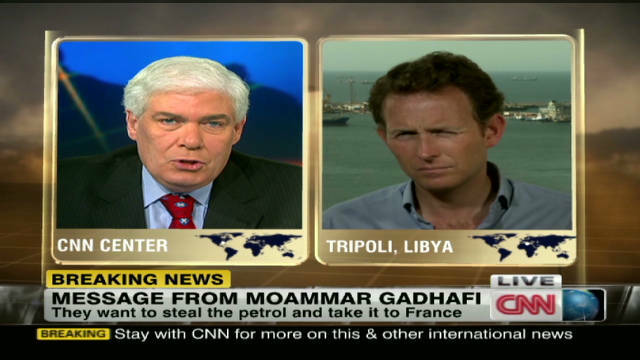 NEW: "The Libyan people would rather die than be suppressed"
Tripoli, Libya (CNN) -- In messages of anger and defiance broadcast Thursday, a man purported to be Libya's ousted leader, Moammar Gadhafi, urged Libyans to continue the fight and not surrender to "imperialist" forces. "God is with us, and we are in our homes," he said in an audio-only message aired on Syria's Al-Rai Television, adding that Libyans are prepared to martyr themselves for the cause. The man bemoaned the NATO attacks on Libya, which he said had flattened schools, universities, factories and airports. "All this has been destroyed now by some traitors," he said. "Who asked the imperialists to come and destroy Libya and occupy Libya?" The man, who did not reveal his whereabouts, said the capital of the country has been moved from Tripoli to Sirte, the coastal town midway between Tripoli and Benghazi that is Gadhafi's birthplace and a loyalist stronghold. 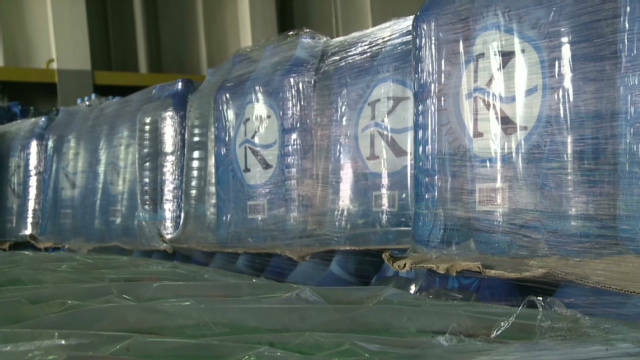 He said those opposing him are intent on confiscating Libyans' water supply and setting back efforts Gadhafi had made during his 42 years in power to improve the lives of Libyans. But, he said, "The Libyan people would rather die than be suppressed. This is something we will not allow the traitors to do -- let Libya be occupied and suppressed and humiliated." Time to return to Libya? Then, addressing his opponents, he said, "We will fight against you wherever you are; we will sacrifice our lives so that the sand and stones of Libya will become fire, and fight against you. You will never have peace of mind inside our land." He warned that his countrymen are committed to taking Libya back from the opposition. "We are ready for a long, drawn-out war," he said. "They will not be able to fight a long war. They will retreat, day by day." The enemy is few in number and has little equipment, he said. "Attack them everywhere," he urged. The country's tribes are armed and not likely to bend to the will of foreigners, he said. "You cannot rule them," he said. "Even if you attack them by aircraft, armed tribes will not surrender." 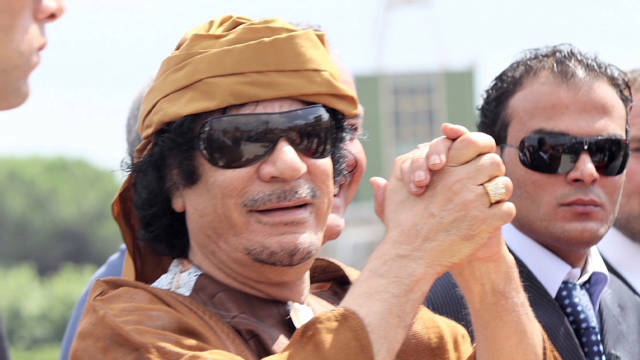 His comments came a day after two of Gadhafi's sons gave mixed messages about whether his supporters should lay down their arms, on the 42nd anniversary of his rise to power through a military coup and on a day when his foes were mapping out the next phase of Libya's history. At a meeting in Paris, global leaders welcomed the National Transitional Council's top leadership as the legitimate representatives of Libya. The messages purported to be from the ousted leader offered little new since the last time a communication said to be from Gadhafi was heard, on August 25, after the anti-Gadhafi forces arrived in Tripoli, but they suggested that Gadhafi is still alive. Even as their leaders were feted in Paris by international leaders, anti-Gadhafi forces could still face battles in cities where loyalists still hold sway. The NTC extended by a week a Saturday deadline for loyalists to surrender, said Tarek Abuzgaya, a spokesman for the council in Benghazi. 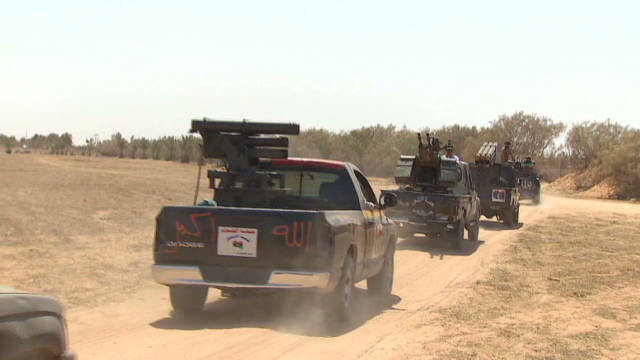 But in Tripoli, military spokesman Mahdi Al Arash told CNN that transitional leaders were still meeting to hash out options to avoid further bloodshed. "As of now, the deadline is this Saturday," Al Arash said. "However, it could change if they see fit after the meeting." Meanwhile, Gadhafi's support continued to erode. His foreign minister, Abdel Ati al-Obeidi, who had been contacting the council for the past few days, surrendered Wednesday night, council member Elamin Belhaj told CNN. And his former prime minister, Al-Baghdadi Al-Mahmoudi, told Al Arabiya he was supporting anti-Gadhafi forces. 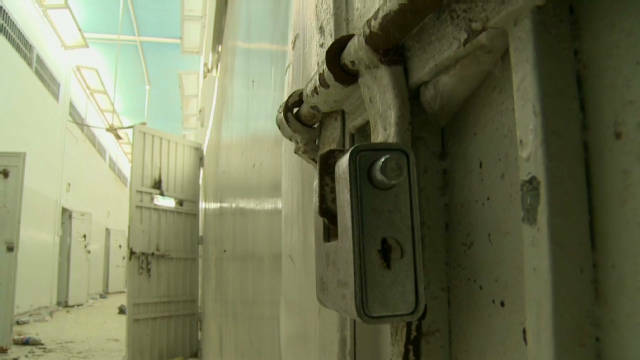 Thursday marked Day 12 since anti-Gadhafi forces stormed the capital and captured the former leader's Tripoli compound. Speculation that Gadhafi may be in Algeria gained ground this week after the neighboring nation confirmed that his wife, daughter, two of his sons and other relatives had fled there. Algeria described its acceptance of the Gadhafi relatives as a humanitarian gesture, but it angered the rebel leadership, with one official calling it "an aggressive act." A doctor in the gynecology department of Djanet Hospital said Gadhafi's daughter Aisha arrived there Monday, gave birth to a girl, Zafia, and left. The doctor, who is not authorized to speak to the media and did not want to be identified, said he did not know where the family went. The transitional council wants them extradited to Libya. On Wednesday, two of Gadhafi's sons appeared to offer divergent and sometimes contradictory answers on whether the former leader's supporters should keep fighting or negotiate. "Victory or martyrdom!" said a man who identified himself as Saif Gadhafi, speaking on Rai TV. "Everyone should move now, begin to attack these gangsters," he said. "Attack everyone, day and night, until we clean this country from those gangsters and those traitors." The man said he was speaking from a Tripoli suburb, where he had met with residents and found their morale was high. He also said he had recently visited the family's compound, Bab al-Aziziya in Tripoli, an improbable statement since it was overrun by anti-Gadhafi forces. On another station, a man purporting to be Saif's brother appeared open to the possibility of surrender, but with a catch. "If this will prevent bloodshed, we will do it, just give us guarantees," said a man identified by Al Arabiya as Saadi Gadhafi. "We need to stop the bloodshed right away," Saadi Gadhafi said, adding that he was speaking on behalf of his father. He said he could not say whether he was in close touch with his father, but added, "If the rebels want to lead this country, we don't have an objection to that. In the end we are all Libyans, and we are all together." 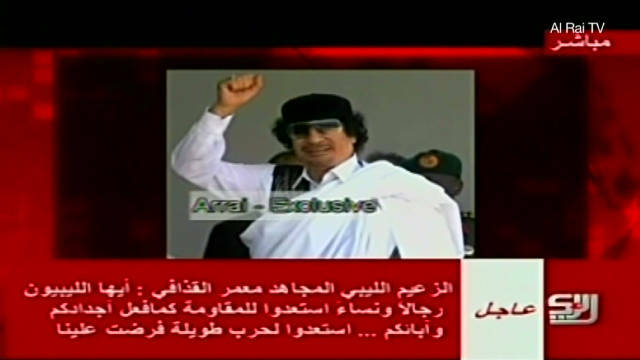 Asked if Moammar Gadhafi was willing to surrender, he said, "Stop the fire and all ways of negotiations are open." 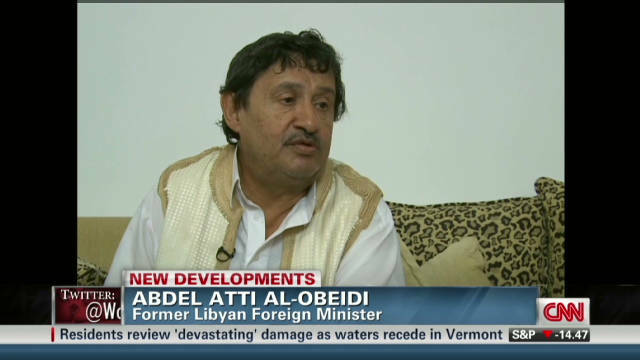 When asked if he was willing to hand Sirte to rebel forces without a fight, he said, "Nothing is impossible." Whatever happens, he added, "I don't have a weapon and will never fight a Muslim Libyan." "Since they don't want to negotiate, I don't think I will go to them and surrender myself," he wrote. "They have already killed thousands of people and destroyed the country. I'd rather surrender myself to a real government than ... to those guys." Moammar Gadhafi, Saif Gadhafi and the former head of military intelligence, Abdullah Al-Senussi, face charges in the International Criminal Court at The Hague, Netherlands, for crimes against humanity related to the Gadhafi regime's violent crackdown against anti-government protesters. CNN's Nic Robertson, Mohammed Tawfeeq, Frederik Pleitgen, Jim Bittermann, Tracy Doueiry and Stephanie Halasz contributed to this report.